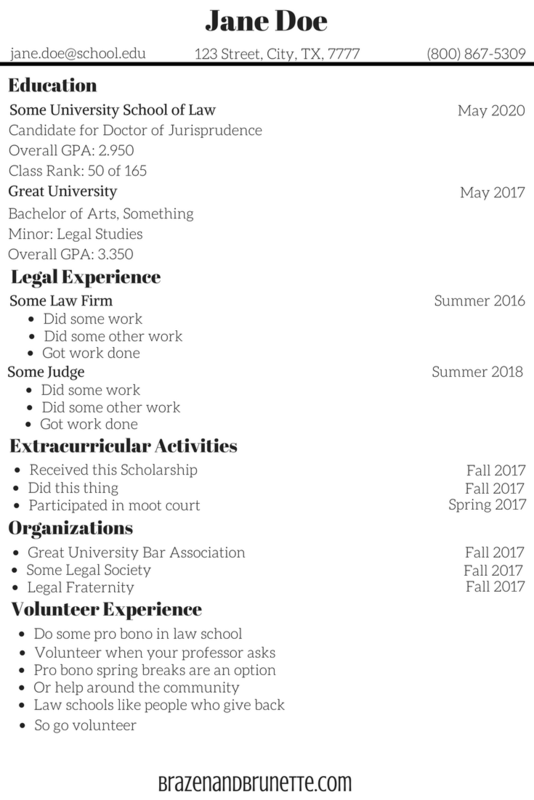 Recently one of my readers emailed me asking about what to put in her resumé and I realized that I haven't talked much about the application process so I figured I'd share what I put on my resumé when I was first applying and then applying to transfer. 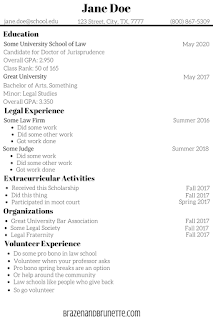 Application resumés can be hard because they're a little different than a job resumé and I know from experience that if you Google law school resumé all they have as examples is someone who was super involved in undergrad and when they got their masters and oh yeah they have like 10 years of experience working in the legal field. This is a little more realistic post. If I had any legal experience like working at a law office or shadowing a judge, I definitely would've added that in here and put it towards the top because it is the second most relevant part after my education. If you have it, good for you. If you don't, just know that it's not going to ruin your chances. You also might consider having career services take a glance at your resumé before you submit it to get any tips on how to improve your wording. 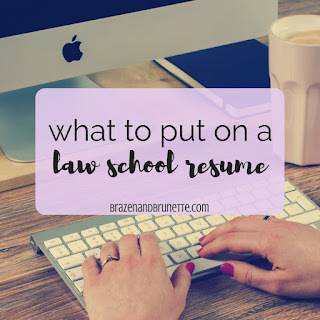 On this note I'd like to add that a lot of people tend to get super involved their junior/senior year once they decide they want to go to law school so they try to make their resumé sound great. My word of caution is don't get too involved and sacrifice your grades for it. 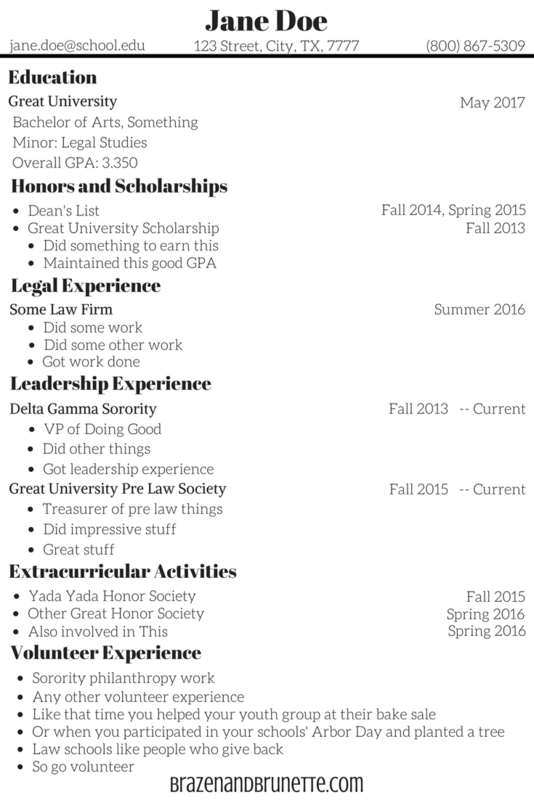 Grades & LSAT > rec letters > resumé Just to put things in perspective. Also it looks better to be really involved in a few things than barely involved in a ton of things. My summer internships. 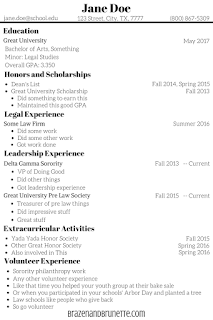 I put the information just like I have on my job resumé too about my job requirements. If I had been on the ball my 1L year and did pro bono service, I definitely would've listed that on here. I feel like that looks a lot better to a school but again, if you have it great, if you don't obviously it won't ruin your chances.